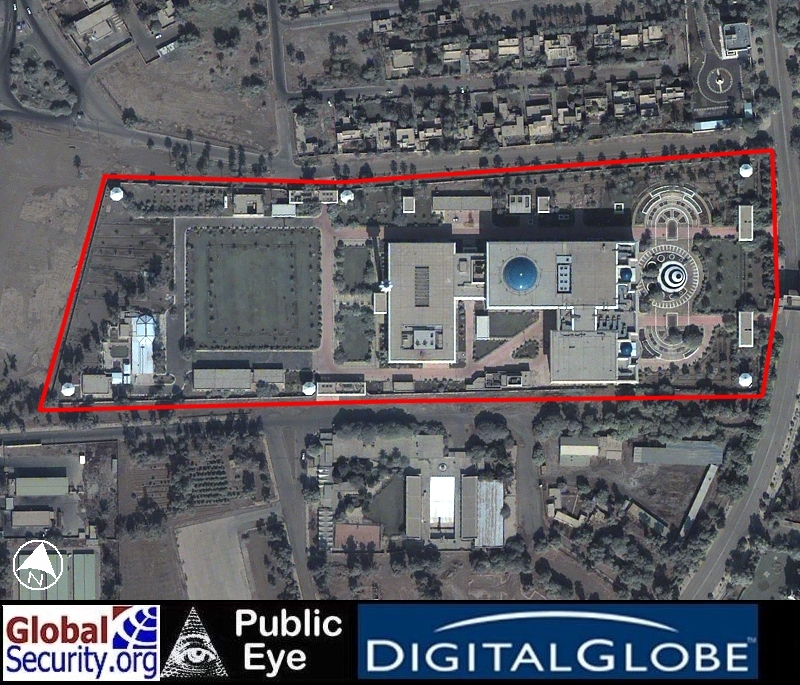 During the Iran-Iraq War, Saddam Hussein commisioned a series of hardened undeground command and control facilities, to ensure continuity of leadership during the war of the cities in which both countries attacked each other with airstrikes and SCUD missiles. 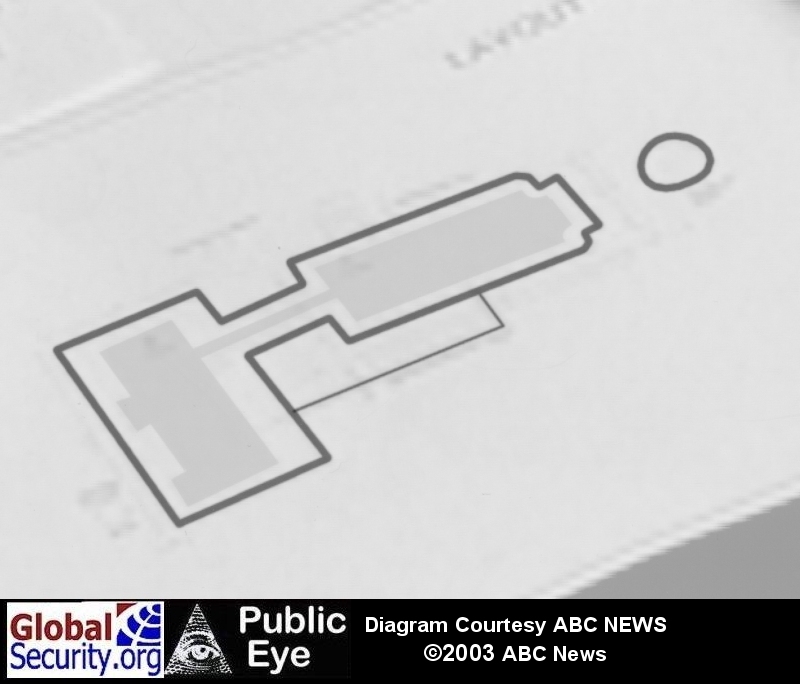 Modeled on Yugoslavian Dictator Marshal Tito's bunker, This facility was built to the same specifications by Yugoslavian engineers, to be able to withstand nuclear, biological, and chemical warfare. 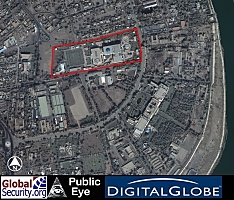 This facility was repeatedly struck by coalition forces during Operations Iraqi Freedom. Sources who have been inside since the end of hostilities, claim that the bunker survived intact. 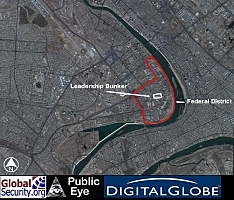 Overview of downtown Baghdad. 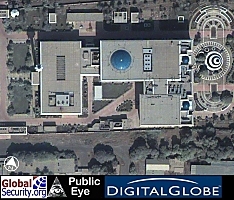 DigitalGlobe Imagery from 3 November 2002. 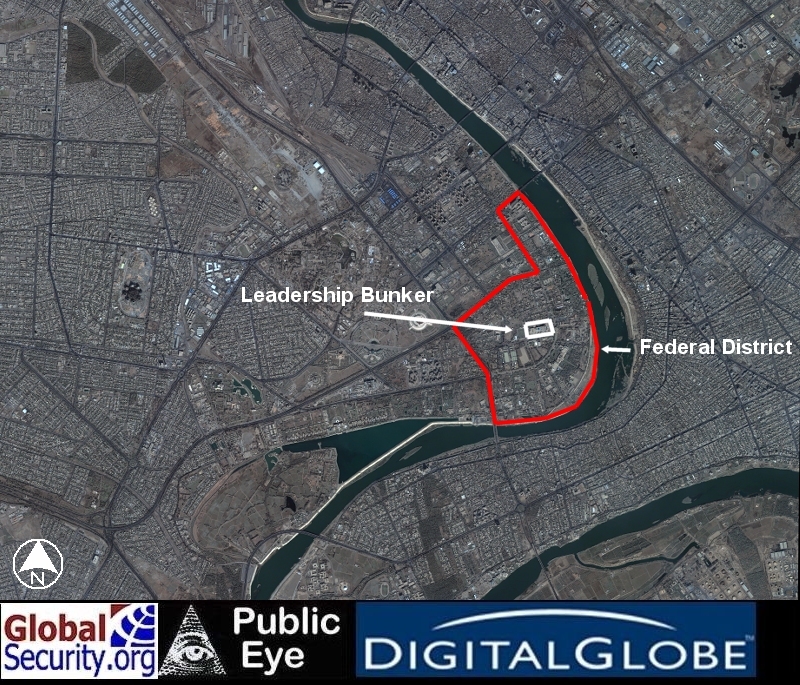 Federal government district and project 2000 leadership bunker shown. 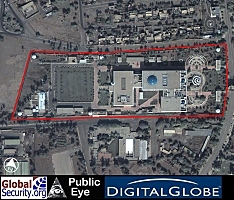 DigitalGlobe Imagery from 3 November 2002 showing the Republican Palace and the project 2000 leadership bunker. 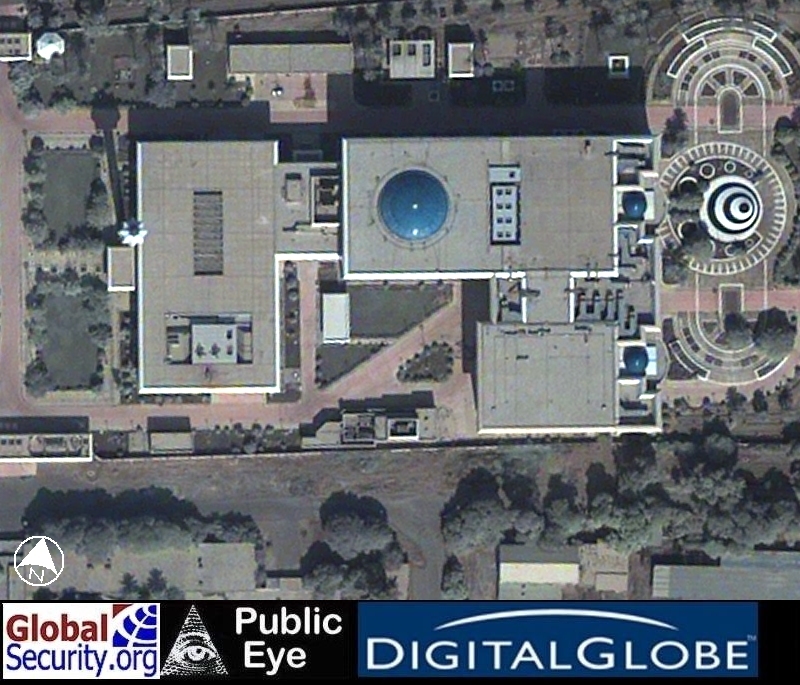 DigitalGlobe imagery overview of the project 2000 bunker. 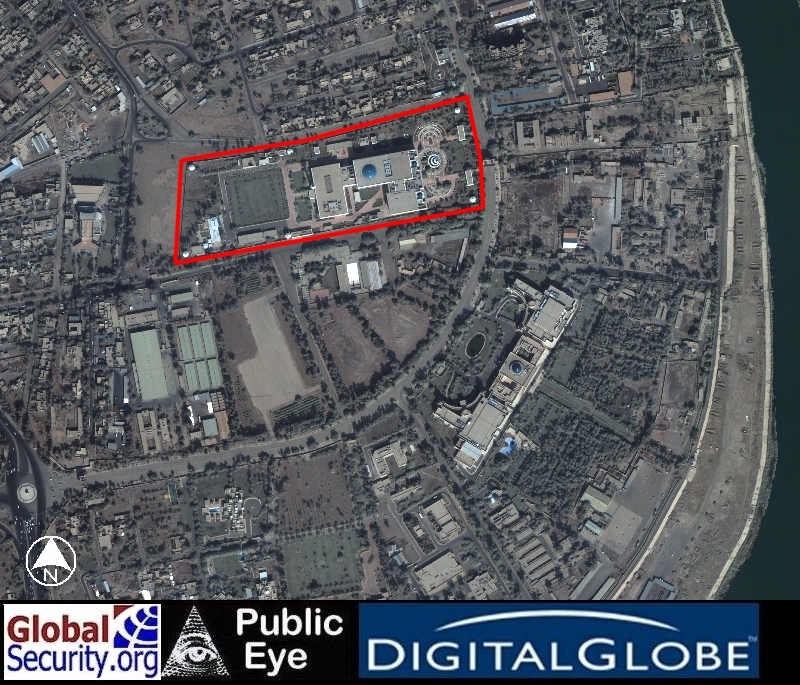 The perimeter is protected by Six guard towers. 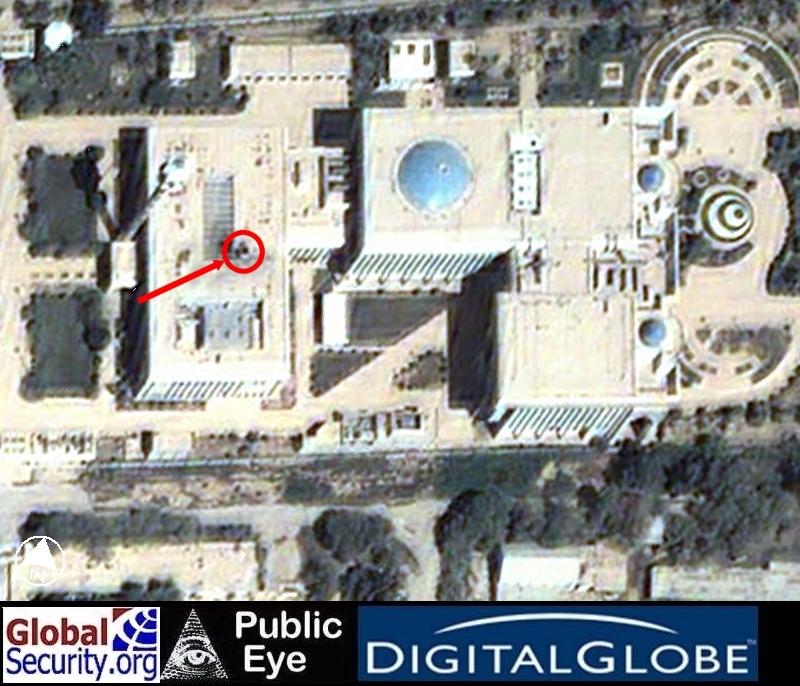 DigitalGlobe imagery of the bunker from 3 November 2002. 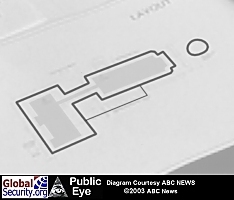 Post-strike imagery of the project 200 bunker as of 27 March 2003. 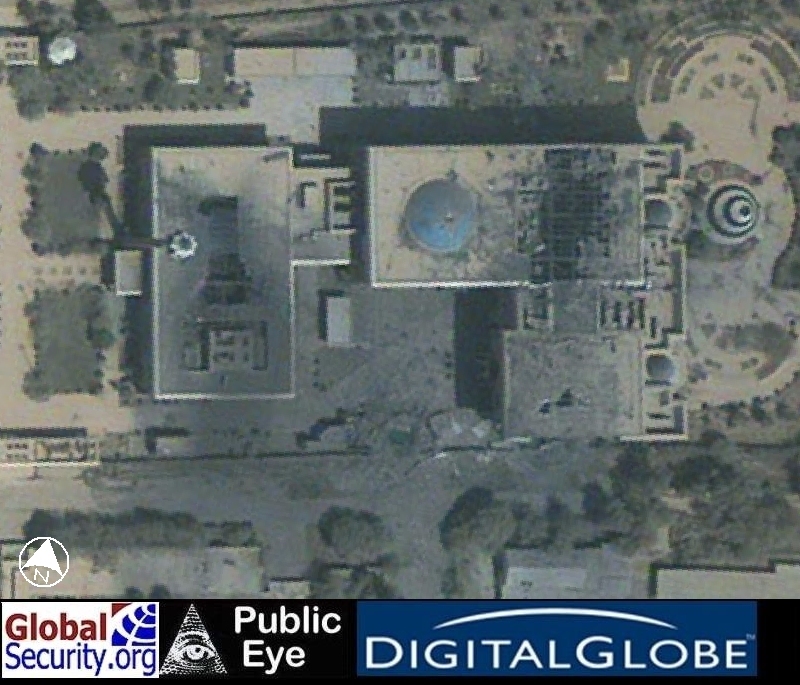 Note the small hole in the roof created by a single precision-guided munition. The delay-fusing allowed the warhead to penetrate to below ground before detonating. Note the lack of evidence of blast and fragmentation. 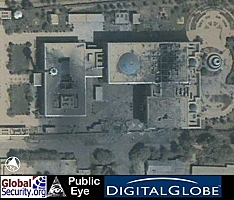 DigitalGlobe imagery from 1 April 2003. Several above ground detonations and ensuing fire damage are clearly visible. 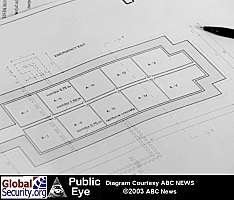 Floor plans and diagrams provided courtesy ABC NEWS, from the interview with an unnamed Yugoslavian engineer who worked on the bunker project. 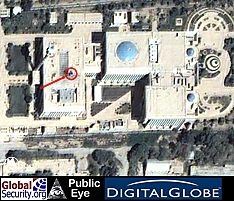 The layout matches the shape of the building in the satellite imagery. 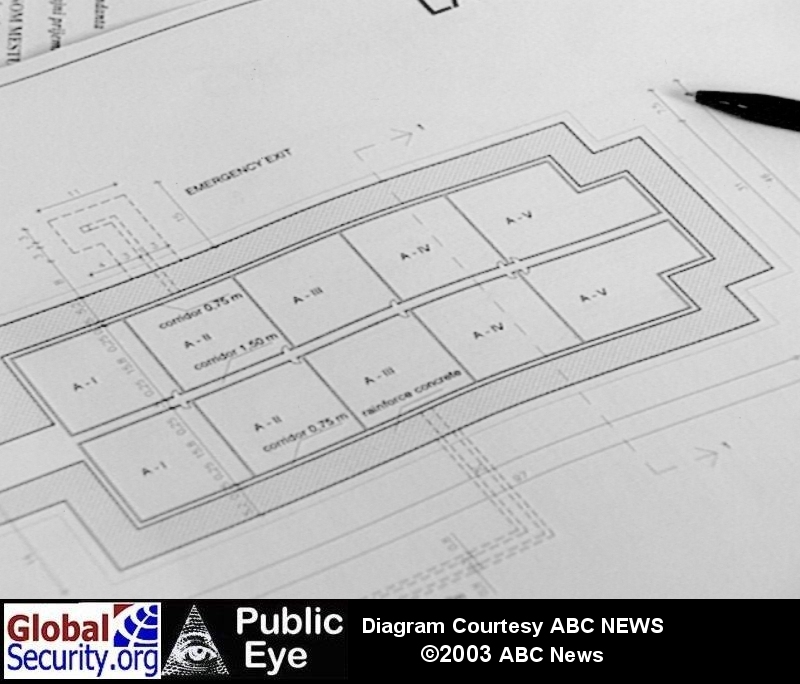 Dimensions in this floorplan match the external dimensions in the satellite imagery above.